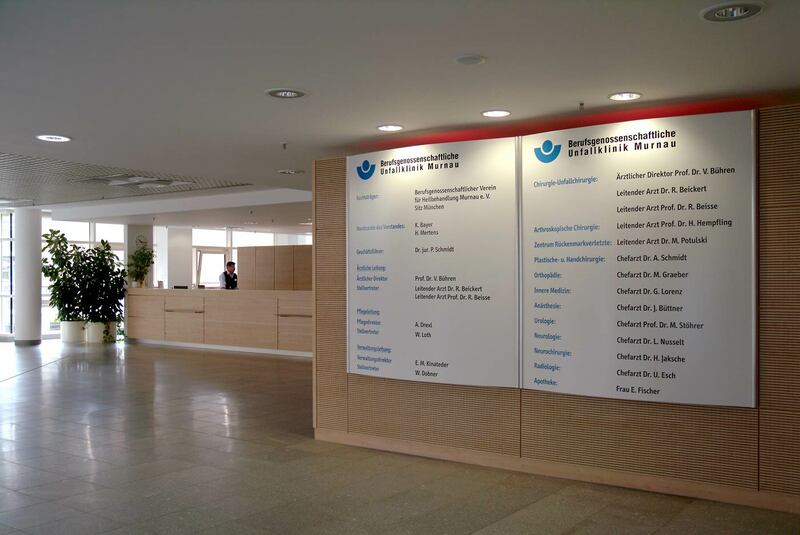 Hanging signs and doorplates with orientation aids in contrasting colours using the Murnau system. This is a typical situation in which clear orientation is needed. The floor information with the relevant departments and floor plans is located next to the lift, and more detailed information for each level is to the right. Wall-mounted central directory panel with department / floor information (colour coding). Floor plans of the buildings. Floor directory panel, colour coding. Colour-coded department information. Central directory panel in the main entrance level. Floor plan in colour. Material: aluminium (silver anodized). Departments with corresponding colour codes. A consistent colour coding system was implemented in this project. Information sign on the individual floor levels. With floor designations, departments and arrows indicating directions. Orientation and guidance system with colour coding for excellent clarity. Each station has a corresponding colour. A consistent guidance system – from the central information to the doorplate – in its design, colour and materials. 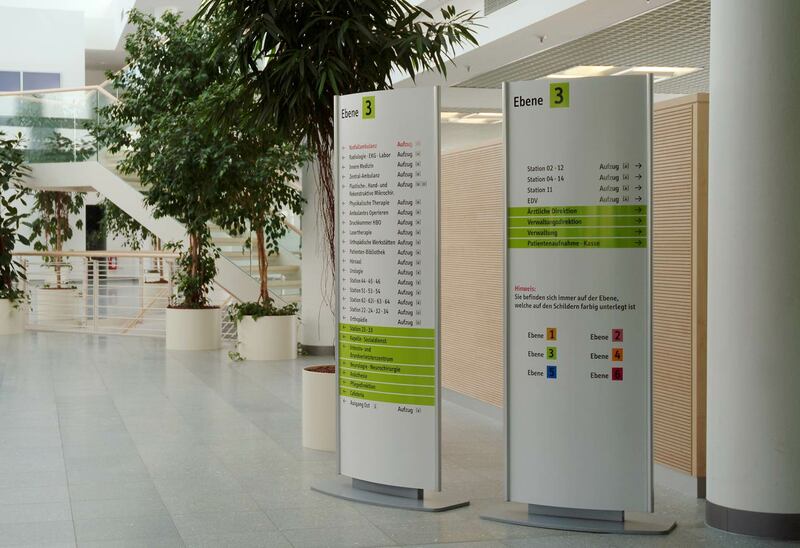 Depiction of the design – suspended information signs in the hallways that match the system; hung on stainless steel cables.